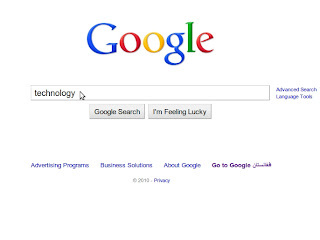 A couple of days ago Google unveiled their new search engine look. They have gotten rid of the old rounded logo with a shadow and now have a newer one (which I quite like! ), also instead of the old rounded buttons they have changed to a more square and less glossy look. 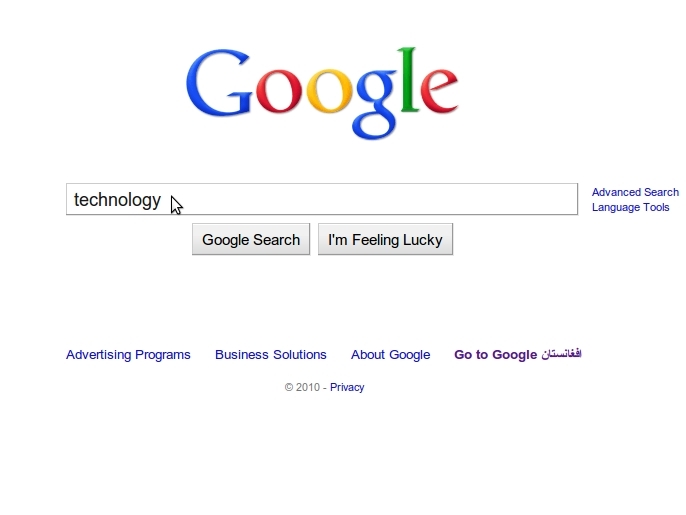 Google also has a new way of showing searches. Much like the old way of selecting whether to show images, news, ect, on the top bar now there is a ribbon on the side where you can select whether to show images, blogs, news, whatever. I'm not quite sure what the difference is since the ones on the top are still there, but they only change the same selection on the sidebar. Hopefully those will be take off so that there is less clutter. Underneath the information type, you can also select dates and times, such as "Past 24 hours", "Past Month", ect. And farther on down you can select other ways of narrowing (Or widening) searches down such as "Fewer Shopping Sites" or "Sites with Images". Farther on down Google gives you some suggestions on "Something Different". These are related items, completely non related items, antonyms, and other things. For example when I searched "technology", related searches were "information technologies", "education", "agriculture", "infastructure" and "health". When searching for "funny" the different things were: "scary", "lol", "silly", "weird" and "cute". Hopefully everyone will take these changes in hand and adjust quickly, because I don't think there's any going back. Have fun with the new google!